When I attended the premier of the War Horse, at the Lowry Theatre I was not sure the timing was the best. The tale follows the life of Joey the foal and how he finds trust and love in a human. War Horse not only tells the story of the love between a man and animal beautifully. If you are looking for the perfect thing to do in Manchester in June then look no further. Especially as I spent last weekend visiting the extraordinary Puy Do Fou where I got to experience extensive mind-blowing shows featuring real horses. However as the first scene started and Joey the foal wandered onto the stage I instantly gelled with the concept. I immediately fell in love with Joey and forgot this ever so detailed and intricate puppet was indeed a puppet and not an animal. I began to realise that the fact that I had watched so many shows last week featuring real horses only cemented how amazing Joey and all the other animals in the show actually were. They moved and breathed as real animals do, to the point you forgot they were not. Their puppeteer’s (for want of a better word) blended and became part of the animals. They had you feeling their joy and pain in a way I never thought possible. A young Albert Narracott (Thomas Dennis) who nurtures Joey to become a fine specimen of a horse, who soon becomes the envy of others. Thus resulting in Albert’s father Ted (Gwilym Lloyd) making a drunken bet that Joey can be trained as a packhorse. A foolish act that allows Albert’s long-suffering mother Rose (Jo Castleton) to pay the mortgage but ultimately saves Joey’s life a few years later. When Albert’s father sells Joey to Sergeant Allan for the war effort Albert is devoted and vows to find and bring Joey home. 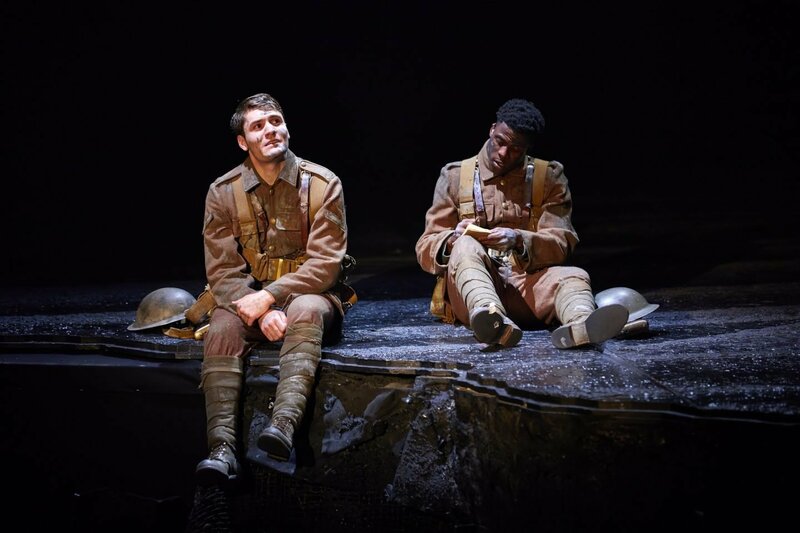 The story tracks the war efforts of both Joey and Albert. It follows how they both impact lives of the people around them. Of how the war affected people, amplifying those with bullying tendencies. Yet bringing the caring supportive sides out in others. Of the time that the Germans and British army called a temporary truce to save Joey when he became impaled on barbed wire. And of the German officer who befriended and tried to save a young girl and her mother. But it also humanizes the war. Takes stories of individuals and makes you feel the pain and fear they must have felt during this dark time in our history. I took Joe and my mother-in-law Sheila along. They both left the theatre in awe of the production and how truly amazing it was. I was concerned it may have been a bit brutal for Joe being only 12. However at times he was on the edge of his seat and left proclaiming this was the best show he had ever seen. It offers teens and tweens a wonderful trip through history that no classroom can ever offer. 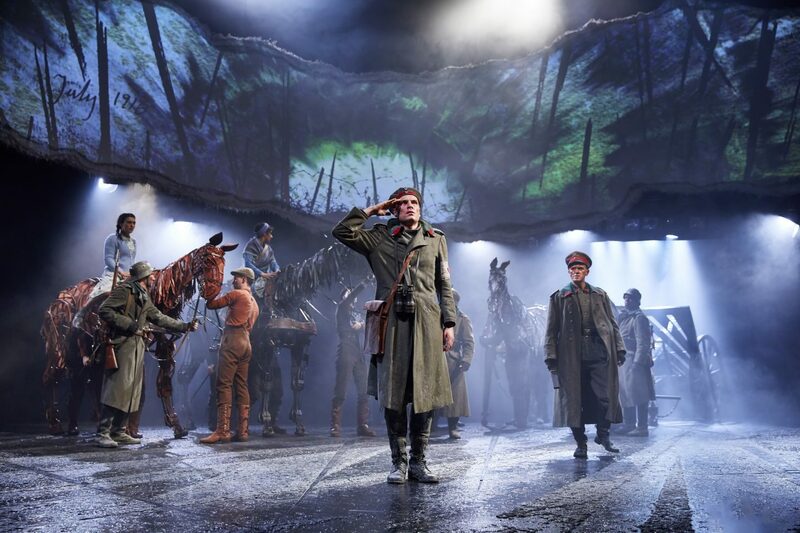 War Horse cannot fail to impress you. The set is simple but so effective it draws you in to the whole story. With the paper tear across the stage showing a timeline and creating an atmosphere to highlight how difficult this moment in history was. The animals were pure genius, with every horse having a unique personality, and the goose that lightened the whole story with its antics. The cast played the story to perfection and had you laughing, holding your breath with fear and close to tears with sadness and happiness. The standing ovation at the end said it all and was very well deserved. 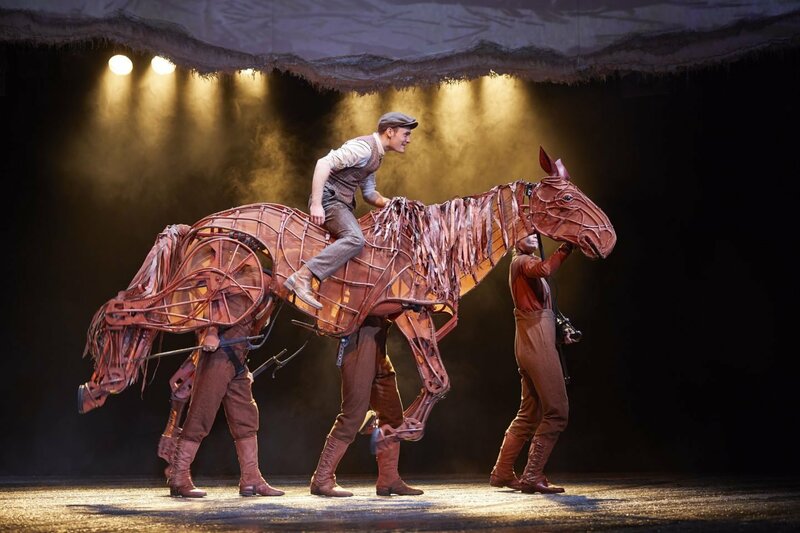 The War Horse is on at the Lyric Theatre and the Lowry until the 30th June and it is a not be missed play. Moving Home And Why We Are Not!